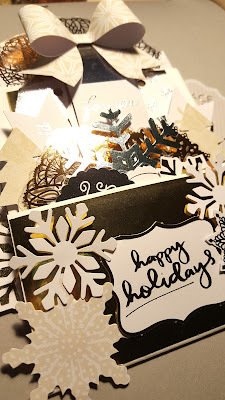 Hi all...I am loving all the fun crafts I have been making for Christmas. 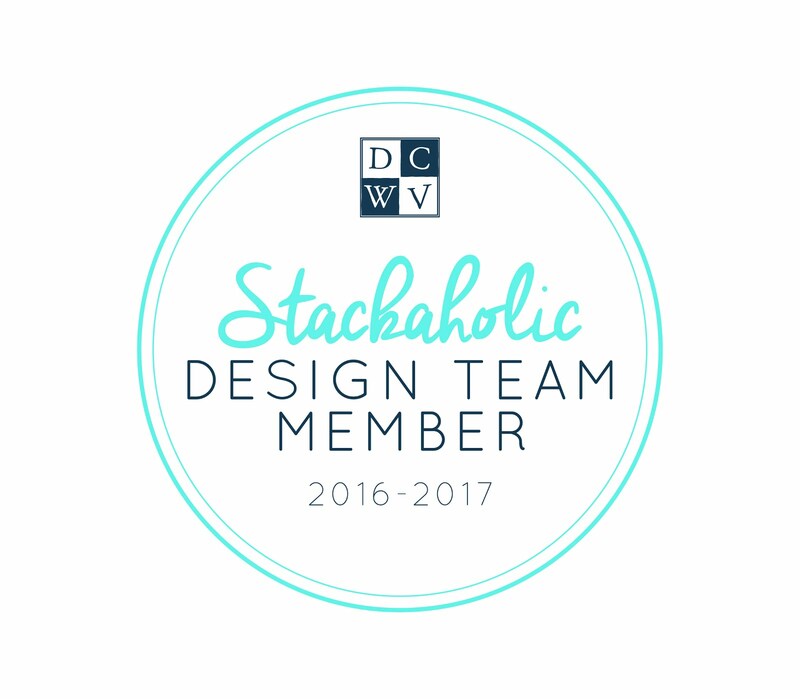 I am here to bring you another one for the DCWV Design Team! It's a loaded envelope...my first. I have been seeing these all over Social Media and love them. 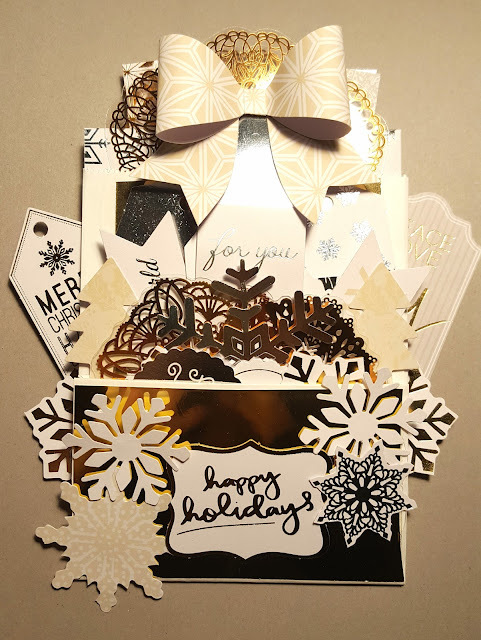 All I used for this Project is the DCWV DIY Project Stack-Gift Decor, small white bag, tape runner & removable Glue Dots and that's it...it is so simple to make and minimal supplies. Here is a quick video showing it's contents. I made everything reusable. So anything stuck down is held by Removable Glue Dots so the recipient can use everything in the bag for their holiday gifts. Follow & Comment below and you can win this loaded bag & a DCWV Stack. This is a cross giveaway also on Youtube, get more chances to win by subscribing to me on Youtube and commenting there too. I will pick a random winner on December 7th, 2016 after Noon Pacific Time!